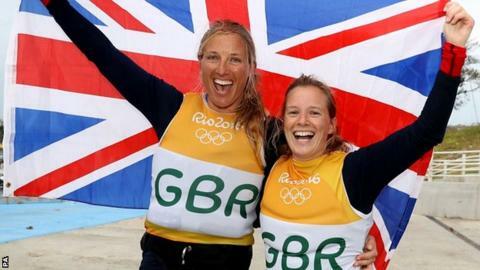 The duo from Britain, Saskia Clark and Hannah Mills has won gold in the 470 sailing category. The pair ended up as silver medalists at the previous Olympic games which had been held in London in 2012. The duo finished the medal race on Thursday and this time their fate got them gold and in the eighth position but first overall. The women’s teams definitely dominated the races on Thursday as most regattas came to a finish on this day. Camille Lecointre was paired with Helene Defrance who took the bronze medal for France. Polly Powrie and Jo Aleh took the silver medal in the same event, hailing from New Zealand, though with plenty of practice on Scotland bareboat charters. With the sailing races of the men’s and women’s categories concluded at the Rio Olympics this year, Britain has emerged as the forerunner, having secured 21 medals in gold in total and the men’s Finn category saw Giles Scott end up with the second position. Clark is 36 years of age and comes from Essex while Mills is 28 and is from Wales. They led the race with a difference of 20 points. They won a total of three times in the several races and did not finish below the eighth position in any of the 10 races that they fought in the first race series. Indeed, it was a proud moment for Britain’s teams, especially in the sailing category that has been a focus for the nation as a whole.